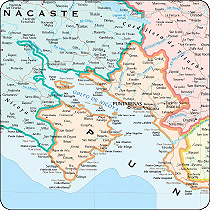 Take advantage of Maps.com's extensive selection of up-to-date, digital port maps for your print and online needs. Hundreds of domestic and international cities available! In addition to our licensed port maps, we also specialize in numerous custom mapping solutions for the cruise industry.